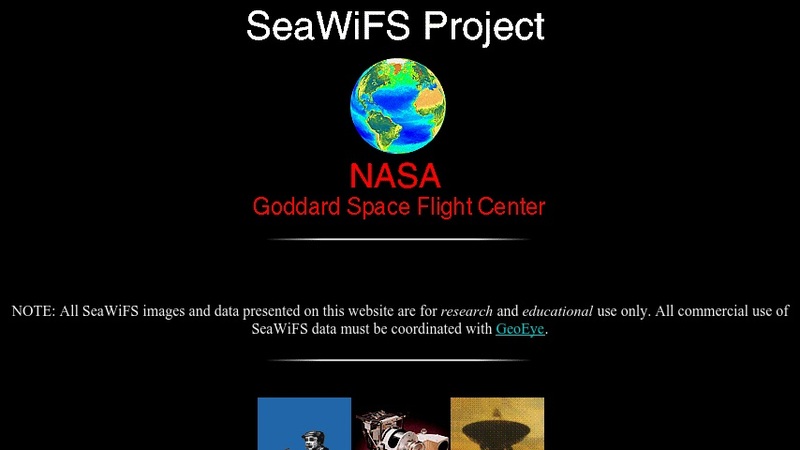 This is the homepage of the SeaWiFS Project. Users can access remote imagery, datasets, information on the spacecraft and receiving stations, and data processing applications. Educational materials include a tutorial and presentation on ocean color, a teachers' guide with activities, imagery, and a teachers' workshop.